WordBanker is a unique and fun method of helping you to learn a foreign language. Rather than bog you down with complicated grammar it deals only with building a vocabulary. Do you have trouble memorising new words or phrases ? WordBanker's "Visual Clue" method of testing means you learn without even realising it. There are many extra functions like create you own custom MP3's, record and compare your pronunciation with a native speaker, add and record your own custom words, a dictionary containing all your test words and a practice mode. 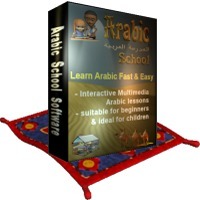 Can be used by English people to learn Arabic or Arabic people to learn english. This site does not contain serial number, crack, keygen WordBanker Learn Arabic serial number : serial number is the simplest type of crack. A serial number(cdkey,product key,etc) is register the program as you may already know. a crack or keygen may contain harmful software. If you cannot find the exact version you want, just give it a try. for more information read .nfo/.txt/.diz file include in zipped file.